Are you interested in leading your industry? CAR Leadership Academy is an exclusive four-month training and development program designed to nurture future association leaders. It is focused on developing participants’ industry and association knowledge. Small group meetings with Past and current CAR Leadership to give you inside knowledge of the organization’s vision and the challenges of leadership. 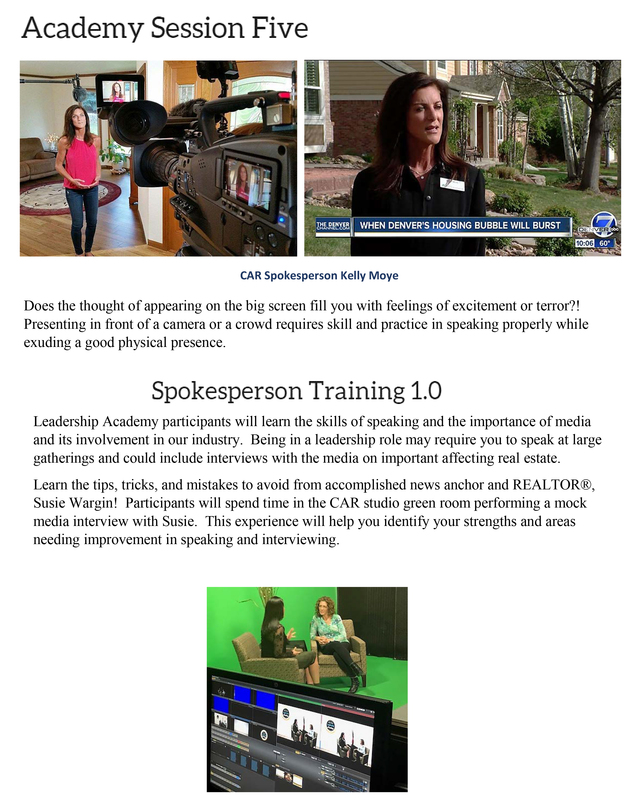 Refine your presentation skills and gain media training. 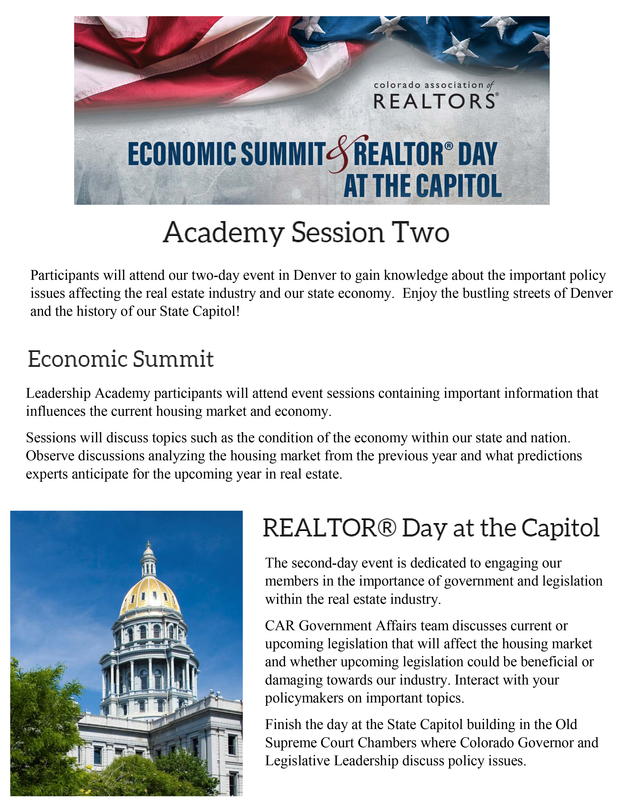 Broaden your understanding of federal policy initiatives that strengthen the ability of Americans to own, buy and sell real estate. Develop leadership skills to be applied at the association level and in your career. 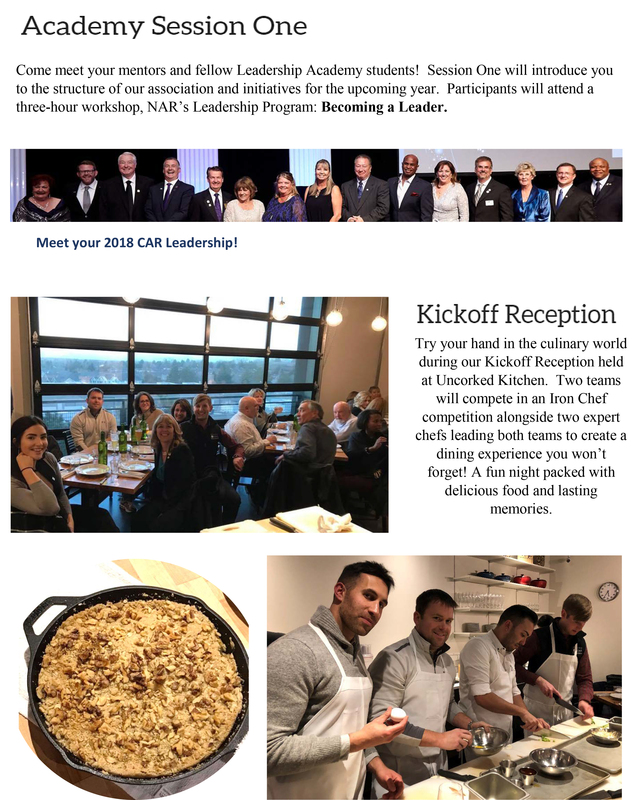 By becoming a member of the CAR Leadership Academy, you will gain the skills to transform connections into involvement and action. REALTOR® members who would like to strengthen their leadership abilities and who are passionate about the industry are encouraged to apply. Participants will gain knowledge and skills required to strive for a position in Leadership. 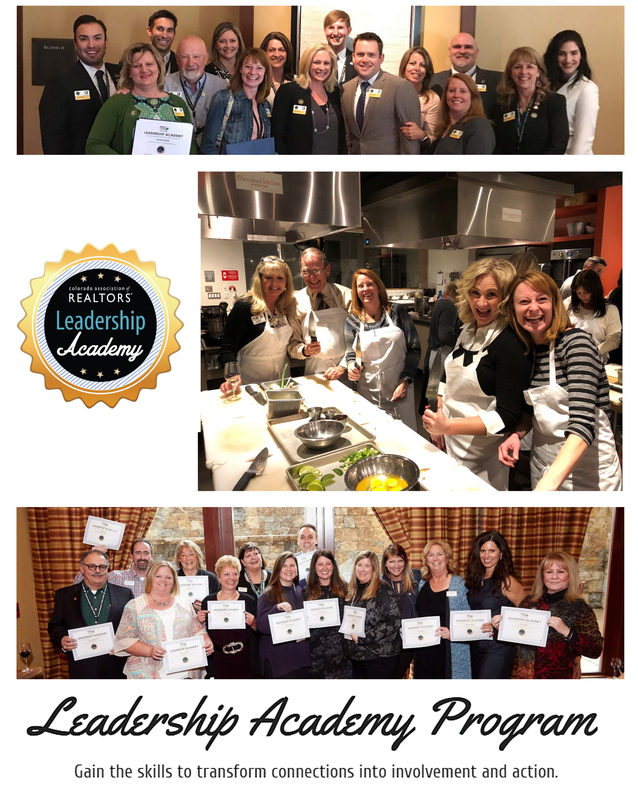 Through this program you will cultivate relationships with new colleagues, strengthen your personal relationships and broaden your referral network. Discover how you can contribute to the success of the REALTOR® organization! What Type of Commitment Does This Require? 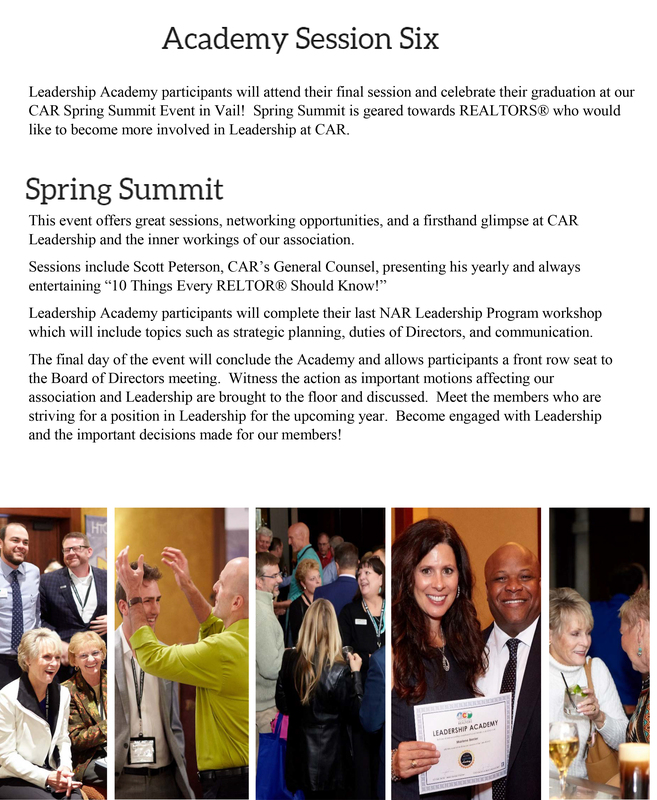 CAR’s Leadership Academy begins in January and concludes in April. Participants are required to attend monthly sessions listed on the Leadership Academy Agenda. Attendance to all events is required and included in a one-time fee of $450. Member is responsible for travel, lodging, meals, and all incidental expenses to attend events. The application deadline for Leadership Academy is October 31st. 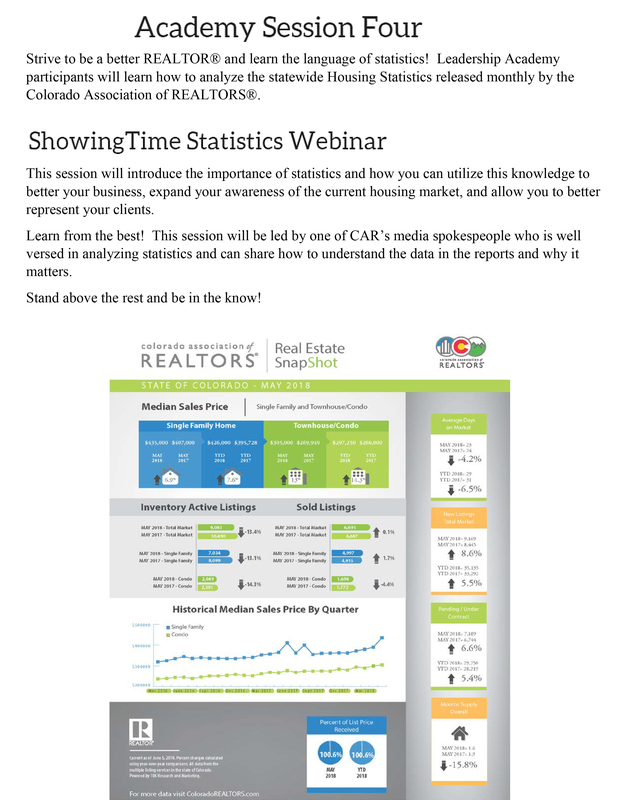 If you have questions, please email Lisa Hansmeier, Vice President of Member Services, lhansmeier@coloradorealtors.com. Admission decisions are disclosed on November 30th. All sessions are mandatory. Please review the program to be sure your schedule will allow you to attend. 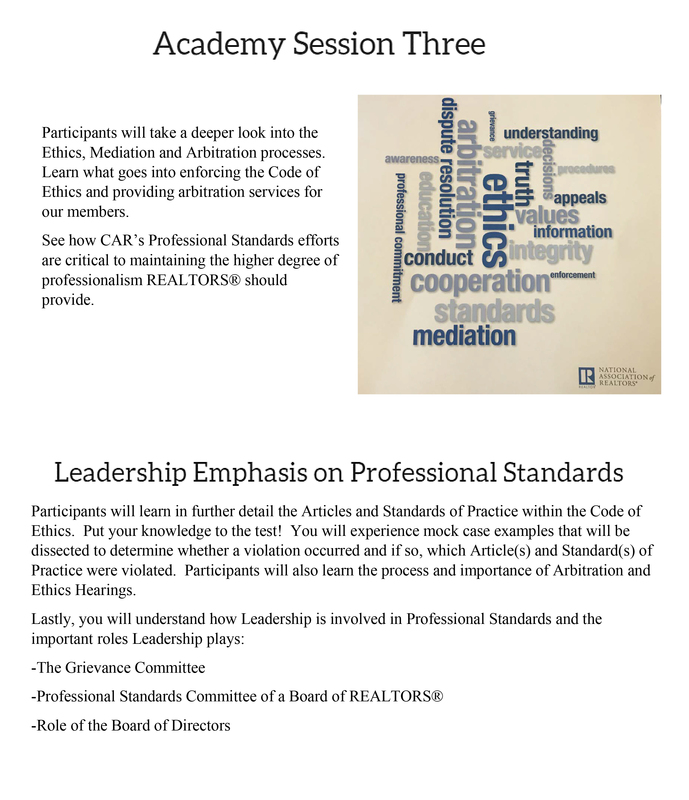 Our industry requires visionary leaders who can anticipate the existing and future needs of our REALTOR® Associations. The CAR Leadership Academy provides the insight and tools needed to do just that. Application Deadline is October 31st.